Snowdonia is more than just one mountain, a train track and some Welsh towns. Snowdonia is a place in Wales packed with things to do for families, couples of all ages or even an individual just needing to get away from it all. But what is there to do, really? Snowdon is something anyone who comes to Wales really has to do; it is perhaps top of the Welsh bucket list. Thankfully, Snowdon is not as challenging as climbing Everest or the Matterhorn, Snowdon is a mere 1085 m compared to Everest at over 8000 m. Despite it not being as high as Everest, the climb is still challenging. The climb requires some planning, some good walking shoes and should ideally be completed with someone who is experienced as conditions can and often do change. 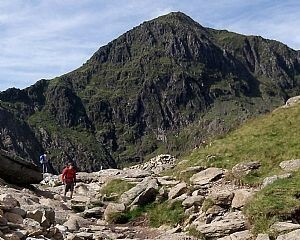 There are six main routes up Snowdon that includes the Llanberis Path that runs parallel with the summit railway and the Snowdon horseshoe that is a little more challenging. The climb is worth every step, the scenery is magnificent at any time of year and the fact that you have reached the summit of the highest mountain in England and Wales is very special. Once you have climbed Snowdon, you may well need a good night’s rest at Bryn Bella Guest House and a hearty breakfast before heading out again to tackle one of the many other fantastic mountains in Snowdonia. How about some bouncing? Bounce Below one of the craziest and most unbelievable Snowdonian experiences imaginable. Buried deep inside the mountains of Snowdonia lies Llechwedd slate caverns, the biggest, most bouncy palace of fun anywhere in the world. Bounce Below has been revamped to create a unique and strangely beautiful adventure playground. 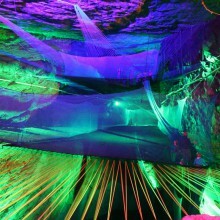 One enters via a network of tunnels and caverns that once formed part of a working Victorian mine, Bounce Below is the ultimate Children’s (adults as well) playground now 400 square metres bigger! If you are not bounced out and still have some energy, how about something adventurous and daring? Snowdonia is not just about mountains it is home to some of the roughest, wildest and most spectacular rivers in Europe. One such river is the Tryweryn and by means of a dam release, it has been converted into a white water rafting thrill ride. 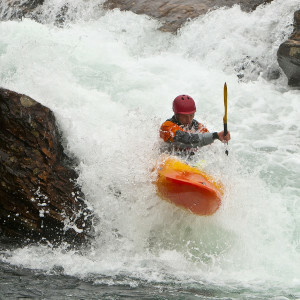 The rapids created are managed by the National Whitewater Center ensuring this attraction is well maintained and safe. It is not recommended for young children but anyone who decided to come kayaking or whitewater rafting is guaranteed a fast, thrilling and exhilarating ride down to the bottom of the rapids. After bouncing and sailing the rapids Bryn Bella Guest House will be a welcome site again as you close your eyes and get a good night’s rest before continuing to explore Snowdonia. Tomorrow, you tell yourself, you will do something a little more relaxing. A walk in Wales is wonderful; Snowdonia especially has some of the most wonderful walking areas anywhere in the world. While you can just walk, you can walk and chase a ball by having a round of Golf at Royal St David’s. Easily one of the most naturally beautiful golf courses in the United Kingdom, Royal St Davids is a par 69, 6,300 yard course that is one of the finest Link’s courses any golfer could play. Surrounded by castles, magnificent mountains, with the sound of sea in the background one could be forgiven for not focusing on their game. 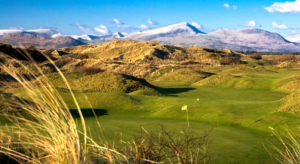 Royal St David’s is a must for any Golfer who has some free time in Snowdonia and is one of the top courses in the world. Snowdonia is full of things to do and in the heart of the region sits Bryn Bella Guest House. Situated in Betws-y-Coed it is the perfect place to stay when visiting Snowdonia, we will do our very best to make any visit memorable and pleasurable. For further reasons and to book your stay at Bryn Bella Guest House simply Click Here .